Spring is here (so says the calendar). And even though I still haven’t swapped out my flannel sheets, the days are longer and lighter, and signs of spring will soon be on the way. Choose several words to alphabetize. This is a skill that ALWAYS needs some practice. For younger students that need extra support, choose only a few words that begin with different letters. With students that need less support and are up for more of a challenge, choose words that begin with the same letter, encouraging students to alphabetize by second and third letters. Choose a few nouns from the list and ask students to list as many adjectives as they can think of to describe each noun. Pick 8-10 words and ask student to write a short spring story using all of the chosen words. For students needing more support, they can write a descriptive sentence for each word. Choose several words and write each one on a separate scrap of paper. Fold the papers and put them into a bag or container. Students take turns choosing a paper and describing the word on the paper for others to guess. What words may students not know? Ask them to look up the word, write the definition, use the word in a sentence, and illustrate it. 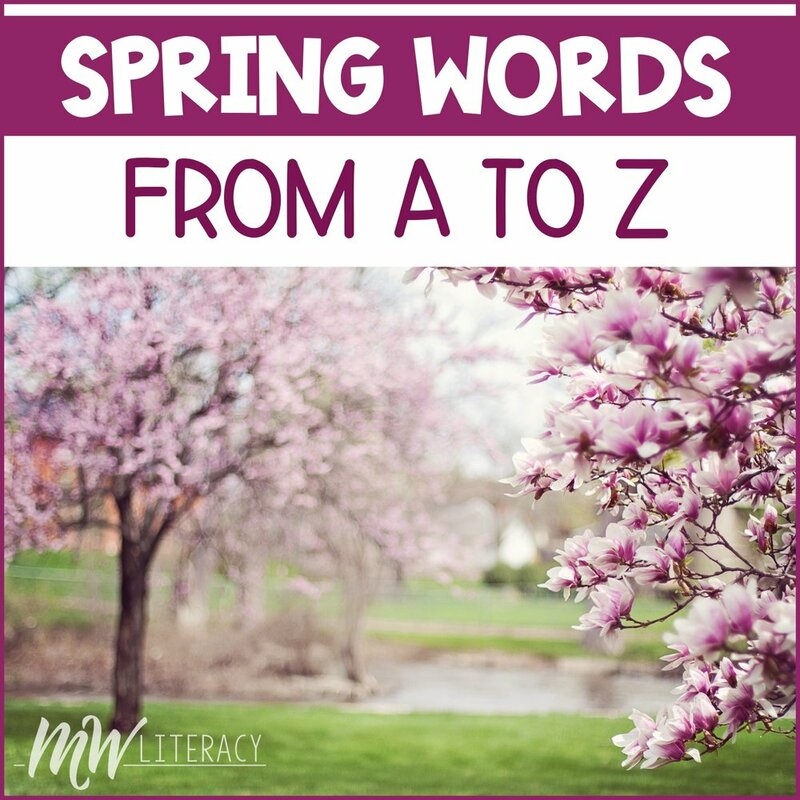 Have them discuss with a partner how each word relates to spring. Are there any other words you’d add to this list? © MW LITERACY. All rights reserved.